Stericycle is a multinational business-to-business services company with a core purpose to protect people and brands, promote health, and safeguard the environment. Stericycle works with its customers to ensure regulatory compliance, minimize environmental impact, manage business and personal risk, improve safety, and facilitate communication. Services include medical waste disposal, hazardous waste disposal, secure information destruction, compliance programs, pharmaceutical returns and disposal, sustainability solutions, and inbound/outbound communication solutions. 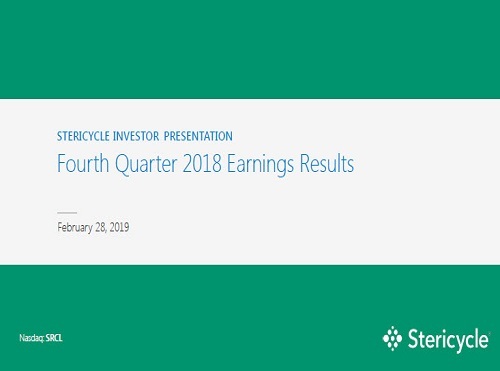 Stericycle provides its services to more than a million customers in the United States and 22 other countries around the world.